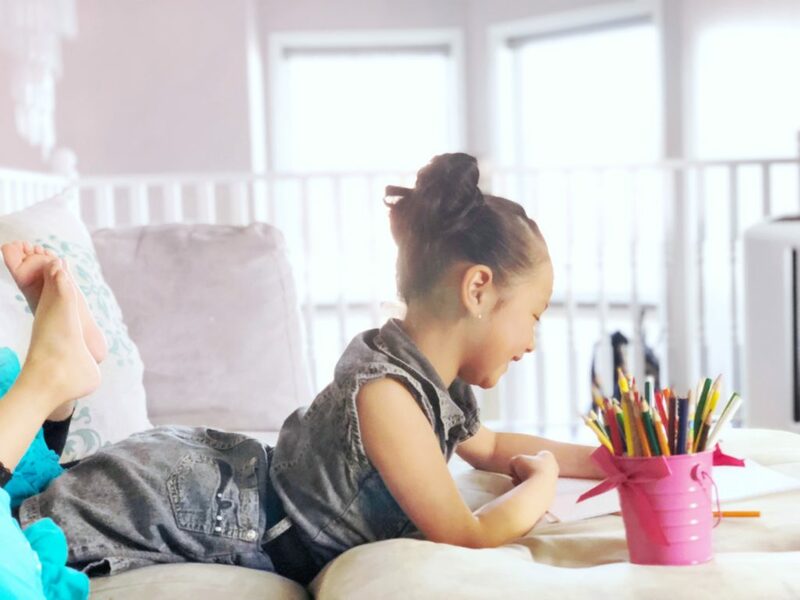 How Do I Help My Child’s Education? Those baby years seem to go on forever. Every milestone in your young child’s development feels so significant. From transitioning to real food to taking their first steps. Coupled with long nights soothing an infant and days spent changing diapers, parenting babies is not for the faint-hearted. Then before you know it, they’re saying goodbye to you outside the school gates. They’re heading off to classrooms, new friends and teachers as they start school for the first time. For a lot of parents, school is not somewhere they associate with happy times. They worry that their child will struggle with the demands that school life throws at them. From the day to day challenge of learning numbers, spelling and more. To the obstacles thrown up negotiating friendships and relationships with other adults. On top of that, they worry that their child might be the focus of a bully’s attention. A fear that they’ll have to deal with teasing in the playground, or worse. Read on to see how you can help your child navigate their early years at school. Plus, get the answer to the question: How Can I Help My Child’s Education? If you had a hard time at school, it’s all too easy to transfer those fears onto your child. Avoid sharing stories that might make them fear they too will have those same experiences. Even if you’re only joking about it. At the very least you should strive to stay neutral. That way, your child doesn’t pick up on any negative emotions you feel about your school days. Children often worry about experiencing new things. For some, that fear is worse than others. Help your child transition from home to school by highlighting some of the more positive aspects. Before your child starts school you will probably be given an information pack and possibly a tour. Take the chance to look around and bring your child with you. Make sure you answer all their questions and point out the obvious things like where the washroom is. Once your child knows their basic necessities are going to be met, it can help with the transition process. Have them meet their teacher. Encourage them to ask any questions they might have. No matter how seemingly insignificant they might appear. Being given permission to ask questions and having them taken seriously will go a long way. It helps your child feel valued by another adult and as an individual. Asking your child what they did at the end of each day does not often yield positive results. It’s very common for a younger child to claim they can’t remember. Most times, they give a simple shrug of the shoulders and say: “nothing”. This isn’t to say they have done nothing or that they haven’t enjoyed it. It’s more a coping mechanism. Children tend to compartmentalize their lives. More so than adults. When school’s over, it’s over and out of sight. They’re ready for home, for cuddles and to relax. The last thing they want to do is explain in great detail what their lessons have entailed. Instead, you might want to ask some more specific, open-ended questions. Questions like, “what made you laugh today?” or “what did you find difficult to do today?”. Your child will probably respond better to these more targeted questions rather than the vaguer alternatives. If you’re still struggling to get to the bottom of what your child is up to, feel free to schedule an appointment with their teacher. You’ll no doubt have regular parent/teacher conferences during the year. But, teachers won’t mind spending an additional few minutes clearing up any concerns you might have. Do go through the office or email the teacher to set this up. Chances are they’ll be too busy with meetings or clearing up at the end of the day for an impromptu chat after school. Also, the beginning of the day is often a tangle of children, school bags and admin. There are several things you can do to help them through the minefield of homework. First of all, on a purely practical note, get organized. Set aside the same time every day where homework gets done. Whether that’s right after school, or after dinner and before bed. This regular slot will become a natural part of your child’s routine. This is something that can be built on as homework increases. Make sure you find a space that is quiet and away from other siblings and distractions, such as the television. With younger children, you won’t need to spend longer than around 20 minutes to half an hour on a piece of homework. Make sure you sit with them and supervise. It may be tempting to just get it done and move on with your evening. Resist the urge and encourage your child to come up with their own ideas and answer questions themselves. Try and take a minimal role in the execution of the task. Encourage them to find solutions to problems as they arise. There are times when your child might face challenges outside the classroom. Perhaps friends have turned away or they’re experiencing the taunting of another child. As low-key as this might seem to adults, the feelings of dread at not wanting to go to school and helplessness are very real. Before you talk to your child’s teacher about the situation, listen to your child’s fears and concerns. As tempting as it is to offer solutions, sometimes just a listening ear will help. Try and encourage your child to come up with a solution themselves and encourage them to stand up for themselves. Teaching resilience is a hard lesson. One that doesn’t come easily but as a life skill, it will come in handy further down the road. If the situation escalates, don’t be afraid to talk to your child’s teacher. Keep pressing until you get answers. Avoid talking to the parents of the offending children, if possible. Often, this does not generally lead anywhere. If anything, it can have a negative knock-on effect for your child. Try and avoid speaking negatively about the other child but don’t make excuses for them too. Focus on reinforcing positive messages about behaviour and resilience to your own child. School days may not be the easiest of times, but they don’t have to be the worst either. With great communication between the school and parents and by getting involved in the day to day life of your child at school, it can form the foundations of a positive attitude towards school and to learning. Something that everyone, parents and teachers, want to encourage. Stay positive, reinforce messages that encourage resilience and the importance of trying hard. Be the role model they need to deal with the tricky issue of relationships and encourage them to form positive friendships. That gap between baby and school child seems so big but they still need that nurturing care that will guide them through from school on into adulthood. These school years will be gone in a fleeting moment. You’ll be left wondering what the next big adventure in parenthood is going to be. 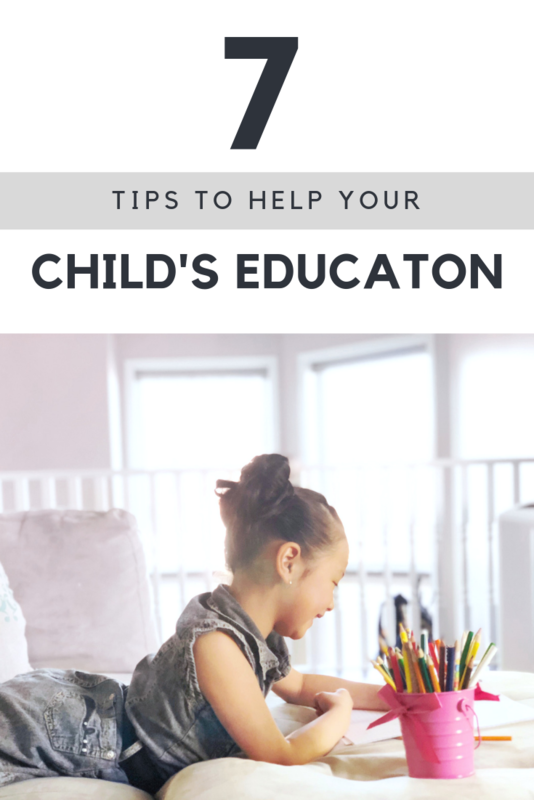 Now you are armed with some tips to help your child’s education! Do you have any tips I may have missed?